Respiratory distress is a common EMS patient complaint and its cause is often difficult to pinpoint in the prehospital setting. Waveform capnography provides real-time data which helps providers determine the disease process involved in a patient’s shortness of breath. 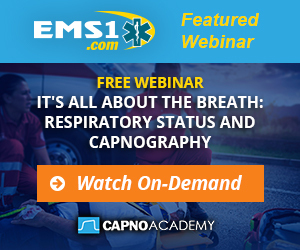 Read 5 Things To Know About Capnography and Respiratory Distress and take this quiz to test your knowledge.